Welcome to the roaring twenties! The 20s had it all: parties, dancing, and fun! Even if things weren’t always good, when it came to playtime, they knew how to make it great! 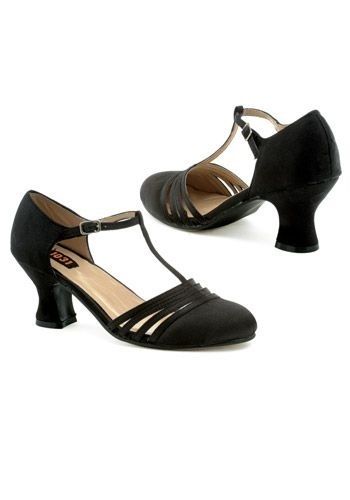 Once you're in a pair of Lucille Flapper Heels be sure to use words like zozzled, jelly beans, and applesauce! If people say they don't understand just call them a wet blanket. That’s what they would’ve done in the 20’s and everyone was hip back then. The shoes themselves are very nice and will go well with my 20's outfit for a party. However I ordered the size 6 thinking it would be a UK size 6 and when it arrived it was actually a UK size 9, so I reordered a size 4 as looking at the measurements on the size chart offered and comparing it against one I found from Google, this matched a UK size 5.5 (which is what I actually am). So before buying just double check the sizes on the size chart. Besides that, I'm very happy with the shoes as they look very nice and are quite comfortable when walking.